This is the second article in our Black History Month series on African-Americans less mentioned in the history books. Most information for the series was based off articles on History.com. Stokely Carmichael was a civil rights activist in the 1960s and originator of the black nationalist phrase “black power.” Originally born in Trinidad, Carmichael did not immigrate to New York City until 1954, at the age of 13. Since Carmichael was not born in America, it wasn’t until his later high school years that he was fully aware of the racism in the South. After seeing video footage of a sit-in, Carmichael decided that he wanted to be a part of the movement. When he was 19 years old, Carmichael participated in the infamous Freedom Rides, in which civil rights activists rode interstate buses into the segregated parts of the U.S. in an attempt to challenge enforcement of anti-segregation laws. During an attempt to integrate a cafeteria in Jackson, Mississippi, Carmichael became the youngest person imprisoned while participating in the Freedom Rides. During his college years at Howard University, Carmichael joined the Student Nonviolent Coordinating Committee (SNCC), which urged young people to participate in nonviolent, direct action tasks such as boycotts and sit-ins. Carmichael was very active in fighting for civil rights during his college years, and as an excellent student, he graduated with honors in 1964. After graduation, the SNCC launched a campaign, referred to as “Freedom Summer,” to register black voters in the Deep South. Recognized for his natural leadership skills, Carmichael was appointed as a field organizer for the campaign in Lowndes County, Alabama. In only one year in Lowndes County, Carmichael was able to increase black voter registration from 70 to 2,600. This was extremely impressive, seeing as he raised the black voter registration numbers higher than the number of white registered voters. He then founded his own party, the Lowndes County Freedom Organization, and chose a black panther to represent them. Carmichael believed in nonviolent protest, but, like many others, he started to become very frustrated with the slow rate of progress that nonviolent efforts presented. When Carmichael was elected national chairman of the SNCC in May of 1966, he had largely given up on the nonviolent movement. He then took the organization down a more exclusive route, informing their white members that they were no longer welcome as a part of the organization. 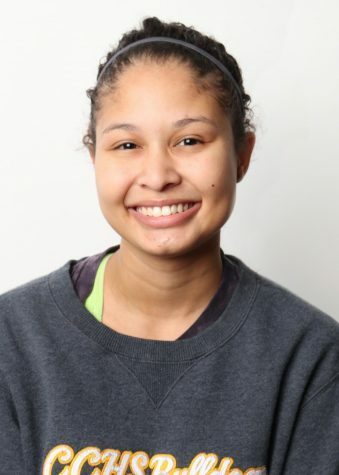 Carmichael is best known for popularizing the term “black power,” which he said would be used in place of the word “freedom.” This was the turning point in Carmichael’s political activism. Carmichael shifted from the idea of nonviolent racial integration towards the idea of black separatism, as presented by activists such as Malcolm X. His shift was controversial nationwide, invoking fear in white Americans and raising tension between the older and younger generations of the civil rights movement. In 1967, Carmichael began traveling the world, visiting revolutionary leaders in places such as China, Vietnam, and Guinea. When he returned to the United States, Carmichael served as Prime Minister to the Black Panthers, speaking around the country and educating people on black nationalism and pan-Africanism, which was his main interest. Carmichael eventually quit the Black Panthers, and permanently moved to Conakry, Guinea, where he dedicated his life’s work to the cause of pan-African unity. 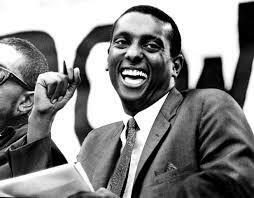 Stokely Carmichael died on November 15, 1988 in Conakry, Guinea.